We hear cancer described as a 'battle' where you have to 'fight' to survive. But, since the 'fight is never fair, how can the individual survive cancer? Unfortunately, there are never any certainties when it comes to cancer and no set plan for survival. Some people try everything humanly possible to survive, yet don't. Yet there are certain steps you can take that may improve your odds and put you one step ahead of your "opponent." Listed below are 10 ways that you can fight back in hopes of surviving cancer. The first eight of these tips are for those who have already been diagnosed with cancer. The final two tips are for those who have not yet been diagnosed, or for those who have cancer but wish to know what can be done to prevent or find a second cancer early. This point may seem obvious to most people, but it’s not to everyone. There are millions of people with cancer who are being treated by surgeons, internists, family practitioners, and other healthcare providers. If at all possible, try to be seen by an oncologist. Specialists are most likely to be aware of current treatment options and clinical trials that will be of specific benefit to you. There are also different types of oncologists. Most often, you will have a medical oncologist who will manage and coordinate your care. If you have radiation therapy, you may see a radiation oncologist. If you have a gynecological cancer, a gynecological oncologist is worth seeing. For those with ovarian cancer, survival with surgery appears to be higher when a gynecological oncologist performs the surgery compared with a general gynecologist. Of course, this is a general statement, and there are likely exceptions. Now that you plan on seeing an oncologist, where do you begin? Often, your first step may involve choosing a cancer treatment center, rather than choosing an oncologist. Cancer treatment usually involves a multidimensional approach, and a good cancer treatment center will allow you to put together a good cancer treatment team. So how do you find out which cancer treatment centers are best for your particular type of cancer? A good first step is to ask the doctor you are seeing where she would go if diagnosed with a similar cancer. Talk to friends and your family. Taking time to connect with an online cancer community is an excellent way of learning which centers are most active in treating and researching your particular type of cancer. The National Cancer Institute recommends that people with cancer consider taking part in a clinical trial, and sometimes these clinical trials are only available at the larger cancer centers. There are many myths about clinical trials, but the truth is that sometimes a clinical trial may offer you treatments that may improve survival which are otherwise not available. Take time to understand the purpose of clinical trials as you look at your options. After looking at what is available, you can then compare the locations of these centers to the regions of the country where you would be most comfortable receiving your care (either near your home or near loved ones who live in other areas if possible). If you see a medical oncologist out of state it does not necessarily mean that you will need to receive all of your care there. 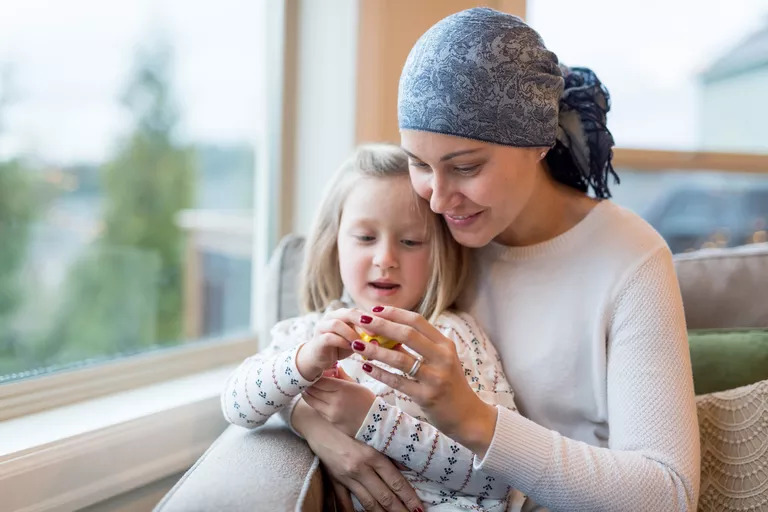 Some oncologists at the larger cancer centers may recommend chemotherapy treatments, for example, which can then be delivered at a center closer to your home. Some people feel uncomfortable asking for a second opinion, yet with a condition as serious as cancer, most physicians expect that you will want a second opinion. In fact, most doctors, when faced with cancer themselves, get a second opinion. It may be helpful to check out the list of National Cancer Institute-designated cancer centers, as these centers are selected for their commitment to find new and more effective treatments for cancer. These larger cancer centers may also be more likely to have specialist not only in your type of cancer but other unique aspects of your cancer such as the molecular profile of your cancer. There are many reasons why a second opinion (or more) is so important. One reason, of course, is to get an opinion from a specialist who is more knowledgeable or interested in your type of cancer. Yet, even if both or all of the opinions you get concur, this can be important down the line. If your treatment should fail to be effective it may spare you second-guessing yourself and wishing you had gotten a second opinion in the first place. Check out these important reasons to get a second opinion when you have cancer. Studies have found that taking the time to educate yourself about your cancer not only helps you feel more empowered and in control of your treatment, but may make a difference in your outcome as well. This may seem overwhelming if you don't have a medical degree, but many cancer survivors have found that it is possible. Ask a lot of questions. Learn about how to find good cancer information online. And don't forget that online cancer communities are often a great way to glean information as well. The amount of information and support for cancer patients is astounding. You can get free educational materials, emotional support, financial aid, assistance with insurance issues, help with your physical appearance, dietary recommendations, you name it. One of the more comprehensive online resources is the National Cancer Institute. The non-profit organization CancerCare has extensive information on coping with cancer. Check out the CancerCare Connect Education Workshops to have instant access to many podcasts addressing nearly every concern regarding cancer. Take advantage of the free, treatment option tools like the ones offered by the American Cancer Society. These decision-making tools can help you learn which treatment options are right for you. What are the pros and cons of each? You'll get information that's personalized to your unique clinical situation, so you'll spend less time wading through irrelevant articles. Support from both family and friends and the cancer community is very important in improving your odds. Studies looking at the effects of social relationships on illness and mortality have shown that strong social bonds improve survival for a wide variety of conditions. Looking at cancer alone, a large study found that high levels of perceived social support were associated with a 25 percent lower risk of death. Allowing your friends and family to help you is an important step, but it can also be helpful to interact others who are facing a similar diagnosis. There is something special about having the chance to talk to someone who is facing similar challenges. In addition to emotional support, cancer support communities are an excellent way to learn about the latest treatments for your disease. In a time when cancer research is advancing exponentially, there are even people who have learned about new treatments and clinical trials—which can sometimes mean the difference between living and dying—through interactions with fellow survivors rather than their community oncologists. While online support groups and communities can be very helpful, take a moment to learn about safety with social media with cancer, and how to protect your privacy. Most of us have heard about a good diet and exercise enough that we've almost become immune to discussing their impact, but a good diet and exercise not only help reduce the risk of getting cancer but appear to improve survival in those who have been diagnosed. It's also very noteworthy that other medical conditions—either those caused by cancer or those which co-exist with cancer—are a significant cause of mortality. Managing these conditions sometimes takes the burner—but shouldn't if you're trying to raise your odds. You don't need to train for a marathon to benefit from exercise. Studies have found even mild physical activity that's fun, such as gardening twice a week, helps improve the survival rate for a few of the most deadly cancers. It's fairly clear that a good diet reduces the risk of developing cancer in the first place, but as with exercise, we're learning that may make a difference for those with cancer as well. Check out these foods that may help fight cancer cells and why. Pay attention to other medical conditions you have, ranging from asthma to heart disease. People with cancer still face these concerns, which can be even more difficult to notice amidst the symptoms of cancer. Blood clots are common in people with cancer, and if these break off and travel to your legs (pulmonary embolism), they can be fatal. Finally, depression and suicide are both increased in those with cancer. Talk to your doctor if you have any concerns. Whatever clinical trial or treatment plan you and your doctor agree on, stay committed to it and give it your all. A number of people drop out of their treatment protocol for one reason or another. Some people forget to take their medications every day or don't take precautions to prevent infections while on chemotherapy. You have to believe in yourself, your doctor, and your treatment. If any of this isn't working, talk to your doctor or a cancer counselor about your feelings. Keep in mind that many side effects can be managed, but in order to address these symptoms, your doctor needs to know they are bothering you. If you smoke, quit. Some people feel that once they have cancer, it doesn't really matter anymore. But it does. Check out these reasons to quit smoking after a diagnosis of cancer. Perhaps the most important thing you can do to improve your survival odds with cancer is to be your own advocate in your cancer care. There is no one as motivated as you to find possible solutions both for treating your disease and for managing the side effects. Make sure you are following all of these steps in being your own advocate as a cancer patient. The final two points are for those who have not yet been diagnosed with cancer, or for those who want to reduce their chances of developing a second cancer. One in two men and one in three women will develop cancer during their lifetime, and some of the treatments used for cancer, such as chemotherapy and radiation therapy, can increase the risk of another cancer. Early detection is important with some cancers. In general, earlier the disease is diagnosed, the better your chances may be for remission or long-term survival. Early detection may include regular checkups, but it's most important to not ignore warning signs your body may be giving you. Learn about the signs and symptoms of cancer, both those that are common and those that are uncommon. If you note any of these symptoms, talk to your doctor. Symptoms, such as pain, are our body's way of telling us that something is wrong. If you have any unexplained symptoms, consider getting a second opinion. While there has been some controversy over screening for prostate cancer and even breast cancer, we've learned that colon cancer screening, as well as lung cancer screening in former and current smokers, can significantly decrease the death rate from these diseases. There are many causes of cancer, but overall it's thought that most cancers are "multifactorial”—meaning that many factors work together to either increase or decrease the risk of the disease. Cancer can be the result of genetic mutations, viruses, or environmental carcinogens. The Harvard Center for Cancer Prevention offers an interactive tool to help you determine your level of risk for 12 different types of cancer. Take the time to ask questions about cancers your relatives have had. This includes not just cancers such as breast cancer. Sometimes cancer runs in family, but different members develop different types of cancer. Learn about your genetic blueprint and cancer. It's also important to be aware of conditions you may have which raise your cancer risk. For example, having diabetes increases the risk of pancreatic cancer and having inflammatory bowel disease may increase your risk of colon cancer. See if you have any environmental exposures which may predispose you to cancer, and take action. Stop smoking if you smoke. Clean up your diet. Exercise. Do whatever is necessary (within reason) to make sure your health is your number one priority.